OhmyGosh! We're only one sleep away til Christmas! I'm really excited! Just like everyone else, Christmas is my most favorite time of the year! Christmas is a time of giving, a time to spend with our loved ones, a time to share the joy with people around us. Some of us are really blessed to have all these but unfortunately, some spend Christmas alone or far away from their families. So this Christmas, something special is taking place at Black Box, Publika. A project that will open our eyes to look beyond the words 'workers' or 'migrants' , because WE after all are the same, earning to provide for our families.
" 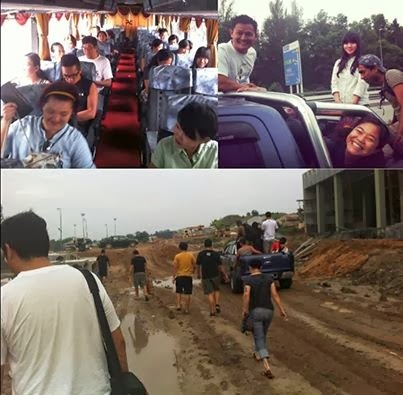 We are just ordinary rakyat of Malaysia. We love our rojak culture. We are awesome because we are different. We love our muhibah spirit. We are all kawan. " 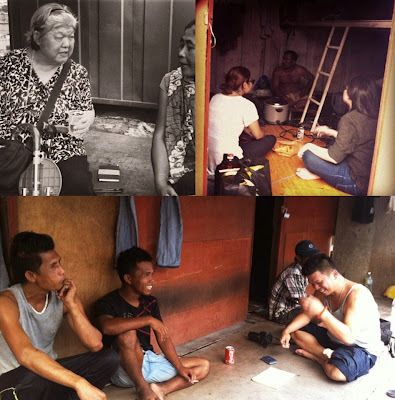 According to Kita Kawan Mah, " Project I See is a project came to be after they read about how, when a Nepalese migrant climbed a roof in Taman Tun when he was distressed about not being paid. Some in the crowd, asked him to jump. And he did. This is but one incident among countless many where a human being is dehumanized. The way we hate one another, the way we mistreat people, the way we look down on fellow human beings, thats the result of dehumanizing people. It makes it easier to hate or to discriminate against. And we fail to see another human being as a person, not too unlike ourselves"
Some of us tend to discriminate migrants because they are 'migrants' and it seems like they are here illegaly , but what we fail to see is that, they too are here to make a living, to help their families back home. I think, if they had the chance to earn a living in their country , they will not be here. So, who are we to look down on them. This project calls for each one of us to not judge, discriminate or make racial comments that could put one another down. Hence, through Arts, they are hoping to convey messages of human dignity to people. This is perfect for young people. 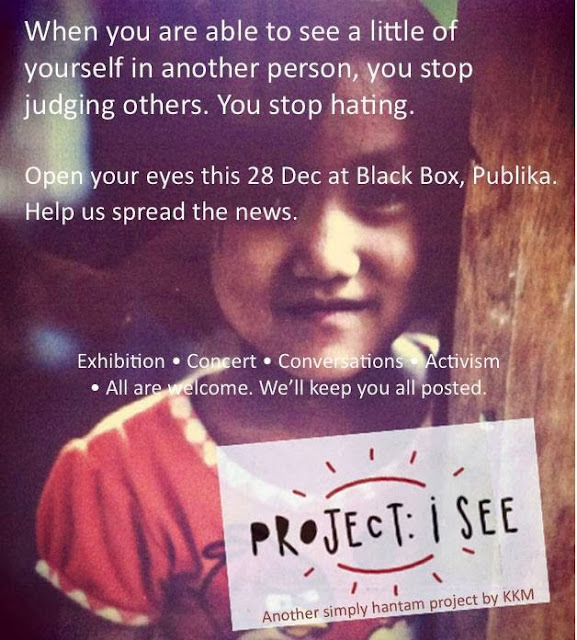 :) On the 28th of December 2013, at Black Box, Publika, an Arts Exhibition will take place from 12.00 pm to 10.00 pm and there will also be a live show from 5.00 pm to 6.30 pm. Everyone is welcomed to open your hearts this season as members of the arts community share inspiring lessons in songs, dances, poetry, spoken words, painting, photography, illustrations, design and film. 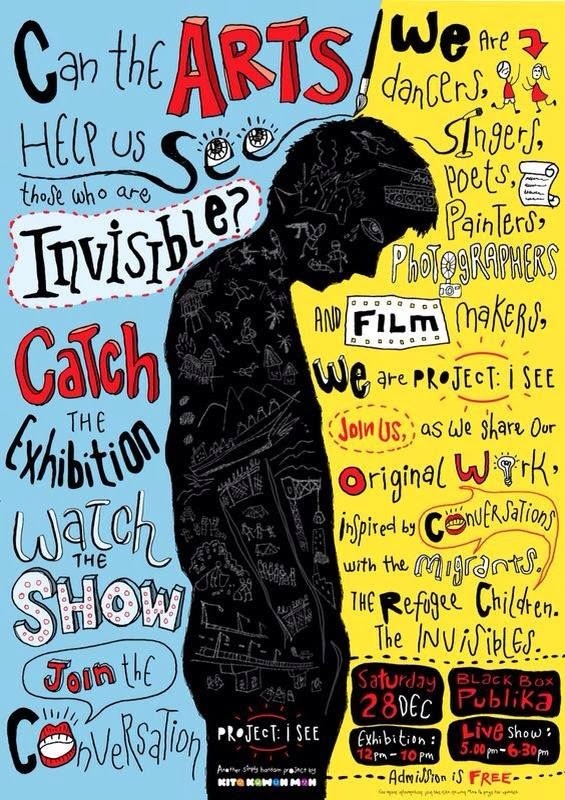 Bring your kids, your friends, your neighbors as we celebrate the dignity of being human. This projects wants each one of us to see ourselves in the person that we are about to put down or discriminate, in this case, migrants. We pass judgements easily on people with differing views, language, status and faith. Whether it is a bad habit or a natural reaction, it causes class, cultural, ethnic, religious divisions. We often judge , hate or look down at someone before getting to know them. But when it becomes more than just an acquantance , you actually see the person and what situation he is in. there's so much to tell. In the end, its a story about people. People like you and I and everyone else. We want to say, you're beautiful, you're unique, you're lovable. All of you. All of them. So like that lor. This is what Project I See is about." A month ago , Team A headed to a kongsi to meet with migrants. Team B headed for a school for refugee kids. I won't be around on the 28th of December :( , but if you're free , why not head over to Black Box Publika , Bring all your friends and support this cause! Check out their Facebook Page Kita Kawan Mah for more details or other initiatives that they've done to make a little difference in our lives. 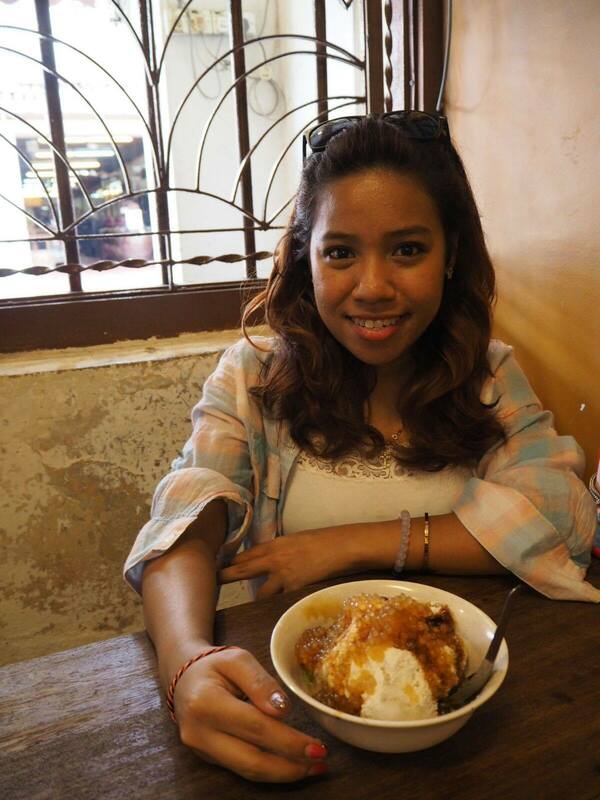 All pictures were taken from Kita Kawan Mah's FB Page :) & Project I See is their 5th Event of the year.